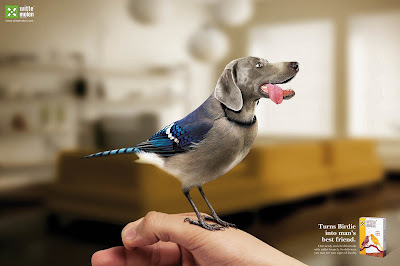 A very creative approach, sure to attract consumers; all those who like animals will definitely enjoy these advertisements. 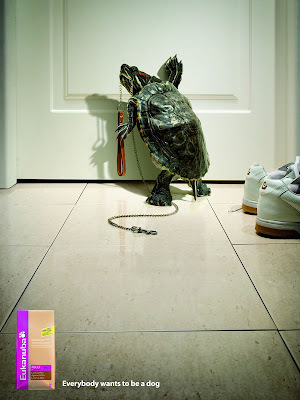 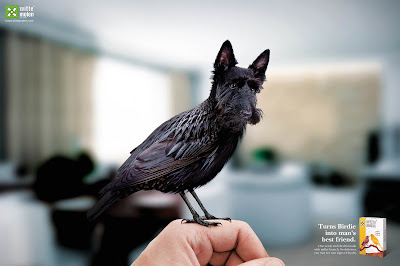 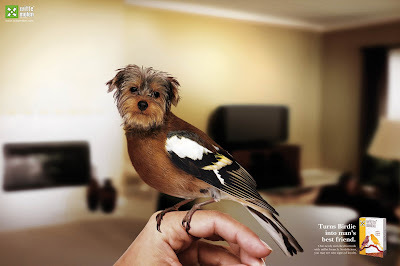 Witte Molen: Created by advertising agency: DDB&Co., "turn birdie into man's best friend." 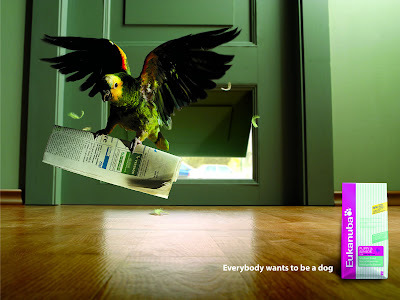 Eukanuba Dog Food: Created by advertising agency: Leo Burnett, "everybody wants to be a dog." 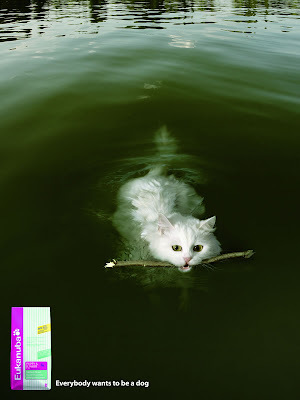 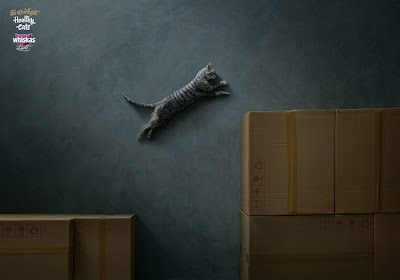 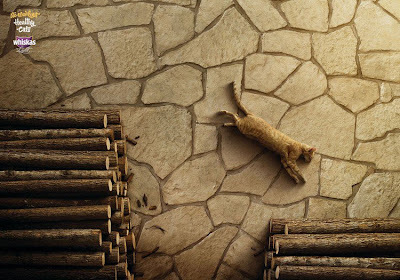 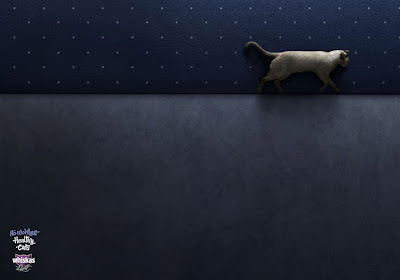 Whiskas Light: Workout - Created by advertising agency: BBDO, "no workout. 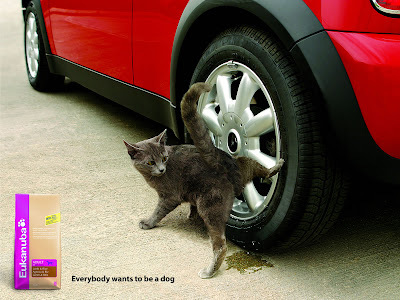 Healthy cats."